On Saturday, most of the surprises you are going to experience will rather make you sad or disappointed, rather than vice versa. Every event today should be a reason for reflection on the meaning of your own life. A problem may arise in your personal life with the desire to make a purchase or with other material problem. For some of you, that day portends a visit to the home of relatives, friends or neighbors on an unpleasant occasion. On Saturday, you can enjoy a news or event related to a boy or a young man traveling today or living in another city. If you were born under the sign of Aries, Leo or Sagittarius, on Saturday you will have enjoyable personal experiences related to your own family, friends or your intimate partner. This day should not be wasted because it will favor making important decisions or starting new ventures. You will be able to achieve success if you will work today. If you were born under the sign of Taurus, Virgo or Capricorn, today you will have an interesting conversation with a man aged 35 from whom you will learn useful or interesting things. You will be pleased with the company of a girl or a young woman who knows how to entertain. The troubles today will be short-lived, insignificant or their development will not depend on you. If you were born under the sign of Gemini, Libra or Aquarius, Saturday will be the day you will receive more letters or messages. Today you may feel healthy, unstable, or receive news about the health problem of a person you know. Overall, the events on Saturday will develop according to your preliminary plans and expectations. 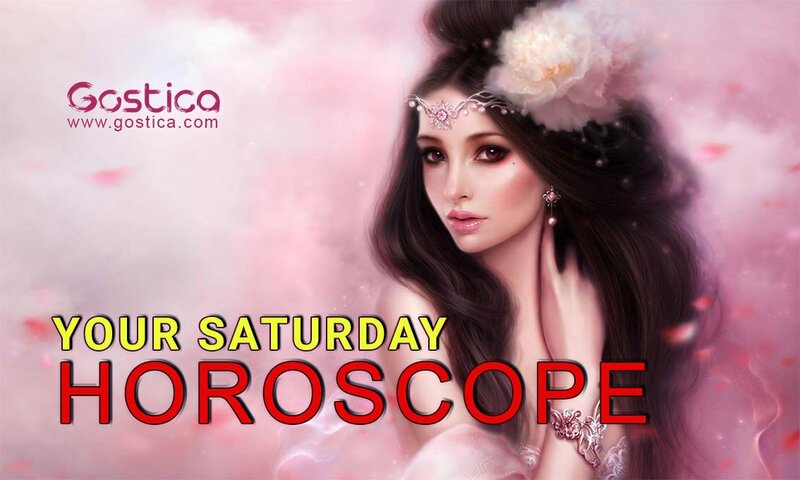 If you were born under the sign of Cancer, Scorpio or Pisces, on Saturday you will probably prefer to stay at home, concentrate on some troubles or complicated situations that you have experienced during the week so far. Today you may have a monetary relationship with a representative of the zodiac sign Leo, Aries or Sagittarius. Generally, this day will be favorable for discussing or resolving different financial affairs. Enjoy the day. Take that slow pace that allows you to enjoy all the moments spent together with the people you love, or even in solitude. Nothing will have to touch you, nothing will have to scratch you. Soon things may resume with the usual hustle and bustle, then unplugging or slowing down will not hurt you, it will give you the right charge and the predisposition of soul necessary. If you do not decide to take the right precautions, on this day you may find yourself with many commitments, when your mind will be set up only for rest. Mind and body must always be in harmony. Organize your activities on time, maybe you could move some, even at the last moment. The mishaps are made for this. Whether people can understand or not, you need time for yourself. Be more attentive to people. Today you will want to dedicate yourselves to yourself, but you have done it recently, so if someone needs you, do not turn away. Give up a moment of leisure to dedicate it to the affections. Certainly, you will not have to work for someone you do not even know and who asks you for a favor, you just have to concentrate on those who are part of your daily life and who, perhaps, need a helping hand. You can very well look for alternatives on this day. No way is ever truly one-way. You can, in fact, go back, being careful not to invest anyone, during the reverse gear. It is human to think again, it is human to realize that we are not able or can not do in time. The important thing is not to think about it because you do not want fatigue, sweat or responsibility. They’ll let you go, for once. Do you have any resolutions on this day? You almost always live without it, but it would be a good idea to organize something today, especially for people who love you and who continually get waste from you. Activating by surprise or showing that you have thought of others, could be a step forward for a relationship, friendship or love. Even in your work, there would be steps to take, at least try it! I would like to know my future career and financial condition. I need to know the good nd the bad meaning will I be lonely single health wealth nd will I move house a good idea or not? Wat does my future frm nw till 2019 be?